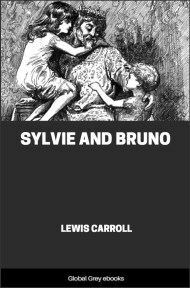 This, along with the second volume, Sylvie and Bruno Concluded, were the last books published during Carroll's lifetime. 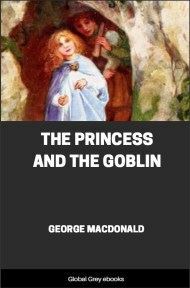 The story has two main plots, one set in the real world, the other set in fairyland. 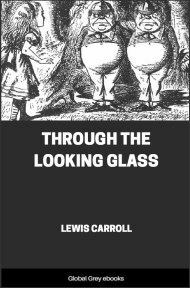 The book as a whole discusses concepts such as religion, society, philosophy and morality. 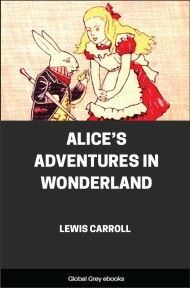 When it was first published, it didn't receive a very good reception. "What can it all mean?" 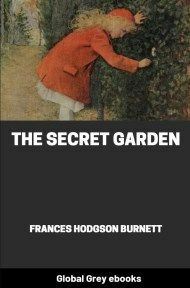 he kept repeating to himself, as, with his hands clasped behind him, and his gown floating in the air, he paced rapidly up and down the room. "I never heard such shouting before—and at this time of the morning, too! And with such unanimity! Doesn't it strike you as very remarkable?" The 'march up' was a very curious sight: a straggling procession of men, marching two and two, began from the other side of the market-place, and advanced in an irregular zig-zag fashion towards the Palace, wildly tacking from side to side, like a sailing vessel making way against an unfavourable wind so that the head of the procession was often further from us at the end of one tack than it had been at the end of the previous one. "Ahem! Ahem! Ahem! Fellow-sufferers, or rather suffering fellows—" ("Don't call 'em names!" muttered the man under the window. "I didn't say felons!" the Chancellor explained.) "You may be sure that I always sympa—" ("'Ear, 'ear!" 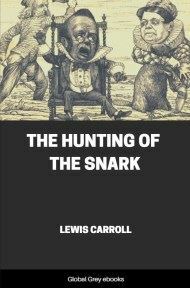 shouted the crowd, so loudly as quite to drown the orator's thin squeaky voice) "—that I always sympa—" he repeated. ("Don't simper quite so much!" said the man under the window. "It makes yer look a hidiot!"